Imagination Technologies has launched a video encoder family of IP that provides H.264 High Profile (HP) at HD resolutions. The newest member of the POWERVR VXE encoder family delivers the highest quality encode ever seen in a synthesisable IP core, and offers the most complete implementation of the High and Main Profile toolsets of any IP core available in the market today, says the company. This translates to improved image quality at all bit rates, and enables ultra-low bitrates to be achieved for encoded streams with minimum degradation from the original source image data. "With the relentless growth in demand for high quality user-generated content in all forms of mobile devices, we've seen tremendous interest in our VXE HD video encoder products. Our partners have evaluated our advanced encoding algorithms used in VXE380 against many other solutions, and the feedback we're getting indicates we have a winning solution that is the ideal complement to the growing numbers of HD resolution image sensors now being deployed in mobile devices," said Tony King-Smith, VP marketing at Imagination. POWERVR VXE encodes video sequences and still images to a wide range of compression standards including H.264 High, Main and Baseline Profiles, H.263, MPEG-4, M-JPEG and JPEG. These cores offload the entire video/still encode processing to hardware, minimising host CPU processing load, enabling lowest power solutions without compromising performance. The core is fully supported by an accompanying software stack, which includes an OpenMAX IL compliant API under Linux. The core is scalable, allowing Full HD video to be encoded, as well as offering the ability to record at extremely high frame rates (e.g. >1200 fps at QVGA) for detailed slow motion capture - one of the most sought after features for encoders today. Support for 4K resolutions is also possible, due to Imagination's unique scalable architecture. The third generation, intelligent motion search algorithm dramatically reduces memory bandwidth requirements, whilst offering an even larger effective search range to give the best possible video quality and compression ratios. As memory access is one of the key sources of high power consumption for a SoC (System-on-Chip), this reduction in bandwidth also helps lower the overall SoC power requirements. The IP core contains a small embedded 32-bit META processor, which ensures that the rate control algorithms are both flexible and highly capable, without burden or reliance on the host processor. This flexibility gives designers the ability to meet specific rate control requirements for the most demanding applications. The VXE380 IP core, like all of Imagination's IP cores, is designed with ease of system integration in mind, requiring minimal external components, supporting memory interfaces optimised for all popular DRAMs including the latest DDR3 devices. The POWERVR VXE380 IP core is available for licensing now. Pricing continues to increase at a rapid pace for both DDR2 and DDR3 memory modules according to a market update from Converge. Earlier in the year market expectations were for another down year for the memory market, and yet at the close of business for October, the DDR2 and DDR3 markets had experienced eight straight months of rising prices. Clearly, computer builders did not see this coming or they would have forecasted for more supply in the second half of 2009. Most builders are getting caught short, and savvy buyers are finding that the spot market has been instrumental in assisting with supply shortages. The sweet spots are still 1GB and 2GB PC800 for desktops and notebooks, and 2GB DDR3 PC1066 and PC1333 for desktops. GE Fanuc Intelligent Platforms, part of GE Enterprise Solutions, has developed a rugged processing board with the performance of a supercomputer. 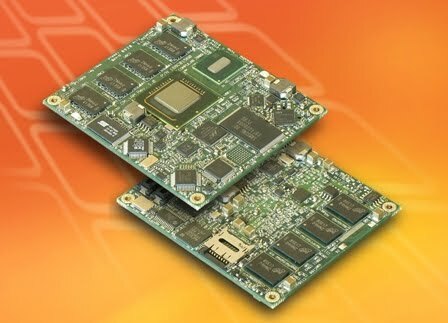 The OpenVPX-compatible GRA111 high performance graphics board is one of the first commercially-available products to feature Nvidia’s newly-announced GT 240 GPU (graphics processing unit) and is also the first rugged implementation of a GPU using Nvidia's CUDA (Compute Unified, Device Architecture). The board is the first result of a relationship with Nvidia announced on October 8th. 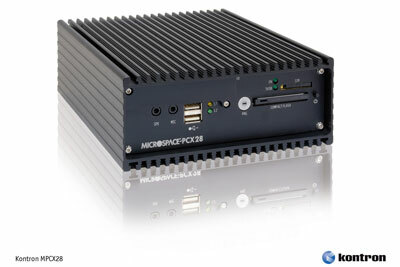 The GRA111 is the first member of GE Fanuc’s planned family of CUDA-enabled products that are expected to revolutionize military and aerospace embedded computing by bringing a supercomputing capability to applications and environments that require leading edge processing such as radar, signals intelligence and video surveillance and interpretation. For example, radar systems can run up to 15 times faster. NVIDIA’s CUDA is a general purpose parallel computing architecture that takes advantage of the parallel compute engine in NVIDIA GPUs to solve many computational problems in a fraction of the time required on a general purpose CPU. It includes the CUDA Instruction Set Architecture (ISA) and the parallel compute engine of the GPU. CUDA has been shown to deliver a 100x increase in speed in a broad range of applications that lend themselves to parallel computing. Early tests at GE Fanuc have shown that military applications can benefit from similar increases in speed. A major prime contractor in the military/aerospace industry has evaluated the CUDA architecture in a radar system, and found that performance improvement of 15x is achievable with minimal reprogramming effort. The 3U format GRA111 derives much of its performance from the 96 cores, 128-bit memory interface, 1 GByte of DDR3 video memory, 16-lane PCI Express Gen 2 interface, 540MHz graphics clock and 1.3GHz processor clock of the GPU. 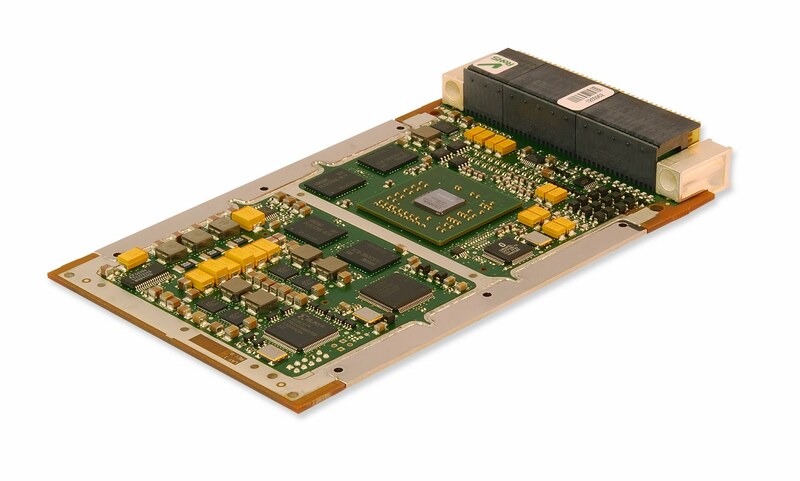 Optionally available as an LRM (Line Replaceable Module) in accordance with the VPX-REDI (VITA 48) standard and with a rich set of I/O, the GRA111 can also be applied to many of the most common graphics and video applications. Dual, independent channels mean that it is capable of driving RGB analog component video, digital DVI 1.0, and HDMI standards. In addition, the GRA111’s video input capability allows integration of sensor data using RS170, NTSC or PAL video formats. While 32bit microcontrollers are moving down into the 8bit market at 65cents, 8bit devices are moving to dual core. Atmel has developed the industry's first dual-core secure microcontrollers targeting demanding smart card applications such as the PayTV conditional access market. Atmel's TwinAVR microcontrollers (MCUs) offer two independent cores, memory and peripherals on a single chip, unlike current secure MCUs on the market today that offer a single core. The Master Core is built around Atmel's 8-/16-bit RISC secureAVR, with 128K ROM, 36K EEPROM and 6K RAM. The Secure Core is also built around Atmel's 8-/16-bit RISC secureAVR, with 64K ROM, 18K EEPROM, 6K RAM, but with AdvXTM Crypto Processor, TDES, AES & AIS31 TRNG. This dual core architecture simplifies the implementation of the RED/BLACK concept of segregation between highly sensitive plaintext data (RED) and encrypted data (BLACK), leading to an easier and faster certification. "As the PayTV conditional access market continues to grow and become more complex, smart card developers demand higher performance and storage capacity while maintaining the highest level of security," said Eric Le Cocquen, Atmel's marketing manager for PayTV products. "Atmel's TwinAVR addresses all these issues. Segregation of the RED and BLACK domains traditionally relies on hardware firewalls and a lot of software. The TwinAVR goes one step beyond by offering, on the same chip, a master core to implement the BLACK domain and a secure core to implement the RED domain, thus providing an indisputable segregation between the two domains. The two cores also increase the overall system performance considerably, equaling a 32-bit MCU, while the data flash interface enables large storage capacities. This new family offers a complete solution for smart card developers in the PayTV market." The TwinAVR also features an ISO 7816-3 smart card interface and a built-in DataFlash interface. Large amounts of data can be stored with flash die stacking to the microcontroller and by fitting both chips in a standard smart card module. This product meets Common Criteria EAL5+ security certification. Pricing starts at $1.85 USD for quantities of 100Ku in bare die form, with samples of the AT90SDC104 4Mbit TwinAVR samples will be available Q1 2010 at $4.00 USD for quantities of 100Ku in smart card modules. Atmel has launched a low cost, One Time Programmable (OTP) transponder chip for next-generation access control systems. Application areas include, for example, hotel rooms, engineering departments, offices, time recording systems and parking lots, as well as customer loyalty and membership cards. The IDIC ATA5575M1 provides OTP functionality, which simplifies the production process and provides increased flexibility compared to read-only devices. Customers can program the required code before shipping, reducing the lead time and time-to-market by many weeks. A new architecture enables longer read distances with different types of coils and readers. The write distance has been reduced since a short write distance is sufficient and helps to minimize both cost and chip size. Large write distances are also in many cases unfavorable due to the risk of multiple tag programming. Further system cost reduction results from the integration of the optional trimmed 250- or 330-pF on-chip capacitors. These capacitors eliminate the need for external components, since a coil is all that is needed for a complete system, enabling extra-small access control systems. Since the ATA5575M1 measures only about 0.9 square millimeters, the chip can be used in almost any transponder package, including glass transponders for very small tags such as plastic key housings. A unique ID is vital for guaranteeing access to secured areas and enabling traceability of the end product. The device's user memory contains a unique, manufacturer-programmed ID. In standard applications, the system designer can simply lock the tag and use this pre-programmed unique ID as is. In applications requiring an individual, unique ID, the designer can overwrite the existing ID by using the desired customer-specific code. As the ATA5575M1 is an LF device, it can be used worldwide. It is insensitive to rugged environments and can also be used under conditions that normally complicate the application of RFID devices, e.g. under water, on metal, in dirt, out-of-sight, or worn on the body. The ATA5575M1 transponder IC supports ASK modulation and Manchester coding with a fixed bit rate of RF/64 and is designed for passive identification systems with a 100 to 150 kHz magnetic field. It can replace almost all available LF RFID read-only devices with the 'unique format'. Samples are available now as wafer or die-in-waffle pack. Pricing for the ATA5575M1 as wafer shipment start at US$0.34 in quantities of 15k pieces and is available as 64- or 128-bit memory version. To support the engineer and to simplify the design of complete RFID systems, Atmel provides the evaluation kit ATA2270-EK1 including ATA5575M1 sample tags. The kit is based on Atmel's well-established AVR microcontrollers and is accompanied with a Windows PC software, C-source code for the AVR and PCB Gerber data for the reader board. The latest family of 32bit ARM Cortex-M0 microcontrollers from NXP is driving real time oerating systems straight into the 8bit and 16bit space. The LPC1100 microcontroller family will be available from distributors in December from 65cents in 10K volumes. With 15 members initially, the family offers a seamless entry point for any 8/16-bit customers looking to start with the scalable ARM architecture throughout their entire range of product development. with the FreeRTOS and SafeRTOS. This is also a direct challeng to Texas Instruments with the new Coretex M0 family from recently acquired Luminary Micro. With over 45 DMIPS of performance compared to the sub-DMIP performance typical of 8bit MCUs and 3 - 5 DMIPS for 16-bit MCUs, the LPC1100 can not only execute basic control tasks but also sophisticated algorithms, making even the most complex tasks within reach. Shorter time to do more tasks translates directly into lower energy consumption. This level of performance is delivered at 50 MHz, with extensive power optimization, at less than 10 mA. The industry standard Coremark benchmarks also show that the LPC1100 requires 40-50 percent smaller code for most common microcontroller tasks. “It may be a big surprise to embedded users how much the LPC1100, a 32-bit microcontroller, outperforms in efficiency compared to 8- and 16-bit microcontrollers. If performance and energy consumption are important criteria for selecting a microcontroller, based on the results generated from EEMBC's CoreMark benchmark, embedded designers should check out the LPC1100 (especially with its $0.65 price tag) before committing to any 8- or 16-bit options with comparable features and pricing. The scores for the LPC1100 are already posted on CoreMark.org,” said Markus Levy, EEMBC President. Future product features will include: Ultra Low Power options, CAN, 12-bit ADC and DAC, temperature sensor, high resolution timer features, and advanced sensor interface. The LPC1100 family is supported by development tools from IAR, Keil, Hitex, Code Red, and many others. NXP will also offer an easy to use, comprehensive development tool platform for under US$30. Recommended distribution unit pricing in 10,000 piece quantities for the 33-pin package is: LPC1111FHN33/101 at US$0.65, LPC1112FHN33/101 at $0.75, LPC1113FHN33/201 at $0.85, and LPC1114FHN33/201 at $0.95, with Flash sizes of 8K, 16K, 24K and 32K respectively. In addition, 48-pin LPQFP and PLCC44 packages will be available for socketed applications. Samsung is set to launch its Bada operatings system as a challenge to Android. Details and prospects at the Portable Multimedia blog. Despite the collapse of the new car market, iSuppli is predicting a boom in telematics equipment for vehicles in Western Europe over the next ten years, and the details of the usage of telematics for each brand make very interesting reading (below), particularly the relatively low levels of telematics used today. Sales of automotive telematics systems are set to rise by a factor of five during the period from 2008 to 2016 as carmakers offer more telematics-equipped models in the region, reaching 24.8 million systems by 2016, expanding at a Compound Annual Growth Rate (CAGR) of 22.5 percent from 4.9 million systems last year. GM’s telematics sales in Western Europe are projected to grow to more than 1.4 million units in 2016, rising at a CAGR of more than 41 percent from 210,000 million in 2008. GM currently offers only mobile-device-based telematics systems. Ford is expected to introduce the Sync system in Europe in 2011. This should increase its mobile-device telematics system shipments in the region to more than 1.7 million systems in 2016, rising at a Compound Annual Growth Rate (CAGR) of 31 percent from 190,000 in 2008. The Japanese brands are not as strong in Europe as they are in North America, so their telematics sales will be much lower in the region. Toyota, which maintains the largest auto sales among the Japanese brands in Western Europe, will have the highest telematics sales there—growing to 990,000 units in 2016, up at a CAGR of 31 percent from 110,000 in 2008. The Japanese leader most likely will bring an embedded solution to the market in the near future. The Top-6 European auto manufacturers collectively control about 64 percent of the Western European auto market. PSA now has the highest telematics sales in Europe due to its use of both embedded and mobile-device systems. Company sales are forecasted to grow to 3.1 million systems in 2016, up from nearly 620,000 in 2008. Embedded systems accounted for 42 percent of PSA’s 2008 telematics sales. VW’s telematics sales are projected to grow to nearly 3.2 million units in 2016, increasing at a CAGR of more than 26 percent from 490,000 systems in 2008. While the company’s four brands currently use only mobile device telematics systems, the German OEM is expected to introduce an embedded telematics system in the future. Fiat’s three brands will sell 2.3 million units in 2016, up at a CAGR of 27 percent from 340,000 in 2008. Embedded systems accounted for about 20 percent of Fiat’s telematics sales in 2008. Renault has been slow to adopt telematics and has just recently added mobile device systems. Renault’s telematics sales are projected to grow to 1.6 million units in 2016, rising at a CAGR of 30 percent from 190,000 in 2008. The two main luxury brands in Europe, BMW and Mercedes-Benz, already sell a high percentage of their autos with telematics systems. BMW uses both embedded and mobile device telematics systems. Company telematics sales will rise to more than 1.3 million units in 2016, up at a CAGR of 16 percent from 390,000 in 2008. 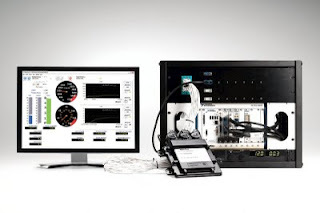 Mercedes-Benz currently sells only mobile-device telematics systems. Sales of Mercedes-Benz telematics systems are forecasted to grow to 1.4 million systems in 2016, expanding at a CAGR of almost 20 percent from 320,000 in 2008. Similar to Toyota/Lexus and Volkswagen, Mercedes-Benz also is expected to introduce an embedded telematics solution for its future offerings. Cambridge Consultants has developed a novel, low-cost ‘spectral sensing’ cognitive radio technology platform that will allow any radio product to transmit without interference over so the called ‘whitespace’ frequencies at 700MHz recently vacated by the US digital TV switchover. With InCognito, it is aiming to do for whitespace what it did for Bluetooth and Zigbee, spinning off companies such as Cambridge Silicon Radio. Whitespace is highly desirable TV band frequencies that easily penetrate walls, potentially extending the range of Home Area Networks (HANs) and enabling a range of novel new applications, such as reliable high-definition video streaming from a single access point to every room in a house. Innovative use of whitespace radio will also make it possible to increase the accessibility of low-cost high speed wireless internet services, including those rural communities which are currently poorly served. The new frequencies, recently authorised in the USA by the Federal Communications Commission (FCC), greatly increase the overall wireless bandwidth available to computers, set top boxes, laptops, WiFi hot spots and other radio devices that currently use the unlicensed band around 2.4GHz. They also have the potential to greatly extend the range of these devices. “We’ve seen so much game-changing innovation in the unlicensed 2.4GHz band, but I believe the FCC’s decision to open up the ‘whitespace’ radio frequencies for innovation promises even more. We will quickly see a wave of innovation in wireless products and services around 700MHz, bringing benefits both to consumers and to the innovative businesses that move quickly into the whitespace market,” said Luke D’Arcy of Cambridge Consultants. The CogNeA Alliance aims to drive the definition and adoption of industry-wide standards for wireless devices to operate over the new TV white spaces. Kiran Challapali, CogNeA’s Chairman, said “Cambridge Consultants has helped get many successful new standards such as Bluetooth, DECT and Zigbee off the ground. We welcome them to our alliance, which includes companies like Philips, Samsung Electro-Mechanics, ETRI and Georgia Tech, and we look forward to working together to make CogNeA a successful standard." Intel's Digital Health group has launched a handheld device in the US that reads out text. This is one of the few times that Intel has sold consumer equipment under its own brand and is a key step towards the Intel phone. Intel already makes notebooks and netbooks, but these are all labelled by, and sold by, other companies. 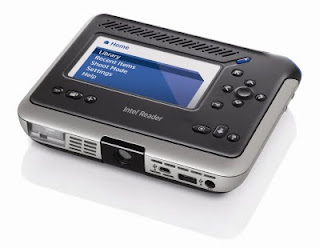 The Intel Reader is designed to increase independence for people who have trouble reading standard print. About the size of a paperback book, it converts printed text to digital text, and then reads it aloud to the user. It combines a high-resolution camera with an Intel Atom processor, allowing users to point, shoot and listen to printed text. The original concept for the Reader came from Ben Foss, a researcher at Intel who was identified in elementary school as one of the estimated 20 percent of people nationwide who have symptoms of dyslexia. Throughout high school, college and graduate school, he had to depend on others to read to him or work through the slow process of getting words off of a page himself. As an adult, much of the content he wanted, from professional journals to pleasure reading, just wasn't available in audio form. "As someone who is part of this dyslexic community, I am thrilled to be able to help level the playing field for people who, like me, do not have easy access to the printed word," said Foss. "Feelings of loneliness are often the experience of not being able to read easily. We hope to open the doors for people in these communities. The Intel Reader is a tool that can help give people with dyslexia, low-vision, blindness or other reading-based disabilities access to the resources they need to participate and be successful in school, work and life." Intel says it can assist the estimated 55 million people in the U.S. who have dyslexia or other specific learning disabilities, or have vision problems such as low-vision or blindness, which makes reading printed words difficult or impossible. The Intel Reader will be available in the United States through select resellers, including CTL, Don Johnston Incorporated, GTSI, Howard Technology Solutions and HumanWare. When the Intel Reader is used together with the Intel Portable Capture Station, large amounts of text, such as a chapter or an entire book, can be easily captured for reading later. It is available through selected outlets in the US. "The Intel Digital Health Group's expertise is in finding innovative technology solutions to improve quality of life," said Louis Burns, vice president and general manager of Intel's Digital Health Group. "We are proud to offer the Intel Reader as a tool for people who have trouble reading standard print so they can more easily access the information many of us take for granted every day, such as reading a job offer letter or even the menu at a restaurant." 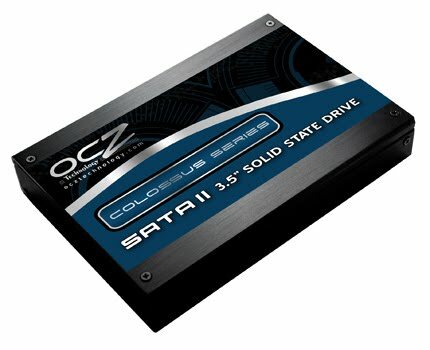 DDR3 memory - what happend? I've just had to buy a new laptop, and wanted something that would last for a good few years, so naturally wanted high speed, low power DDR3 memory. Could I find much? No, really just Dell and Acer. So this analysis of what happened from Malcolm Penn at Future Horizons is well timed, and an excellent description of how technology does, or doesn't get adopted, and the implications for the embedded market! It looks like my timing is good though as now I have a lovely DDR3 system at a reasonable, not bleeding edge, cost. The DRAM manufacturers as a whole made a combined loss during 2008 of US$20 billion. At the moment memory pricing is firming but semiconductor memories are still plagued by a regular cyclicality of over-capacity and declining ASPs countered by tightening capacity and rising ASPs. However, although improvements are evident in the short term, the longer-term trends are still up for debate. One of the major trends currently under way is the trend to DDR3 memory from the current mainstream DDR2. DDR, DDR2 and DDR3 are types of SDRAM (Synchronous Dynamic Random Access Memory) and use a clock signal for synchronization. DDR stands for Double Data Rate, meaning that memories from this category transfer two data chunks per clock cycle. One of the main differences between DDR, DDR2 and DDR3 is the highest transfer rate each generation can achieve. For example, higher speed DDR2-1066 memory operates at a clock rate of 533 MHz. Whilst there is an equivalent DDR3 memory that also operates at this speed, the DDR3-1600 operates with a clock rate of 800MHz. In addition, the internal data path of DDR2 memory is 4 bits whilst DDR3 is 8 bits. DDR3 memories also operate at lower voltages compared to DDR2 memories. This lower voltage means that DDR3 consumes less power than DDR2 for a given clock rate and lower power is becoming increasingly important for laptops and the general trend of electronic equipment to become ‘greener’. On the minus side, DDR3 memories have higher latencies than DDR2 memories. This means that DDR3 memories take more clock cycles initially before delivering data compared to DDR2 memories. The primary benefit of DDR3 is the ability to transfer at twice the data rate of DDR2. DDR3 can operate at higher clock rates than DDR2 and DDR3 memory uses less power for the same clock rate. An emphasis on low power and higher data rates make DDR3 memory a more attractive option provided there is a low premium on price and the motherboards are ‘DDR3 ready’. The first DDR2's replaced DDR in PCs by Dell during the summer of 2004 and were DDR2-533 specification. Dell has been one of the leaders in new system development and it was expected that that the transition to DDR2 would start getting underway very soon after. However, history showed that the uptake of DDR2 was not a smooth transition with memory manufacturers reverting to DDR and then going back to DDR2. The changeover eventually occurred during early 2006 when DDR2-667 had both a performance and price advantage. It looks as though history will repeat itself with the transition to DDR3 from DDR2 but perhaps over a shorter time-span. DDR3 has been in gestation since 2005 and has appeared on some motherboards during 2007. Optimistic predictions were made for adoption during early 2008 with predictions of 30 percent or more penetration of DDR3 memory with less than ten percent price difference in price over DDR2 by the end of 2008. By mid-year 2008 this prediction was looking increasingly unlikely and eventually did not happen. However, the pricing has been altering in favour of DDR3 in the last four months and the percentage of DDR3 has been creeping up to over 20 percent of total PC memory in the first half of this year. PC OEMs are inexorably price driven and will tend to use the cheapest available memory given comparable performance in mainstream machines. Another factor is, of course, the type of memory the motherboard can take. DDR3 has become more popular since July and, as a consequence, the price for this memory rose as demand increased. As the DDR3 prices increased, PC manufacturers started to go back to using DDR2 as these were lower in price. However, increased DDR2 demand, in turn, drove up prices. With prices now higher for DDR2, PC OEMs will switch back to DDR3 parts. This cycle will likely continue for the next six months until DDR3 memory becomes the mainstream memory for PCs probably during mid-2010. The adoption of any new technology is always beset by problems in its introduction and the transition from DDR2 to DDR3 is promising to be no exception. It has been clear for some time that DDR3 memory has had the potential to become the mainstream PC memory but market adoption depends on a careful mix of price and performance with a lot of emphasis on price. As such we believe DDR3 will really come into its own when the new generation 50nm designs hit the market. 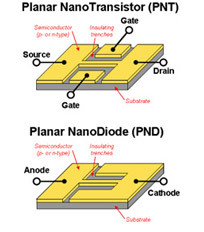 This advance will also allow a large increase in die-per-wafer and either an improvement in profitability or a tool to increase market share depending on the individual memory manufacture’s strategy. China's National University of Defense Technology (NUDT) has developed a supercomputer that breaks the petaflop barrier, putting China in the same league as the US and Europe for high performance computing. The supercomputer, called "Tianhe", meaning Milky Way, is based in Changsha, capital of central China's Hunan Province. The 155-ton system, with 103 refrigerator-like cabinets covering an area of about 1,000 square meters cost $88m and is expected to process seismic data for oil exploration, conduct bio-medical computing and help design aerospace vehicles. It uses 6,144 Intel CPUs and 5,120 AMD GPUs, and reaches a peak performance of 1.206 petaflops and 563.1 teraflops on the Linpack benchmark, making it currently the fourth most powerful machine on the planet. China's Dawning Information Industry Company is attempting to build its own supercomputer that overcomes the petaflop barrier by 2010, and the NUDT is planning to add "hundreds or thousands of China-made CPUs" to the machine to improve its Linpack performance to over 800 teraflops.